Once again we Are Come with Reliance Jio Paid Plans or Voucher Price & benefits Where you can Increase your daily data limit by recharging Jio Number by Rs. 51 and Rs. 301 Plan after Completing 1gb data in 2017. Yes you hear right , reliance will launch their two Tariff Plans in Year 2017 Where You will get 1gb Data daily after this you will get 128 Kbps speed so guys By reliance Jio paid plans you can recharge your number where you will get 1gb and 6gb data with 28 days validity. Reliance Jio Which is Giving Free internet data and other benefits till 31/3/17 but according to their research , Most of the users uses less than 1 gb Data per day so They Extend their welcome offer to Happy new year offer and Will be give only Limited data. To Increase this daily data limit after 1 gb In year 2017 you have to recharge your Mobile By jio Tariff plans. Currently They will launch only two Plans which is Rs. 51 and Rs. 301 Plans. Let’s Come to discuss more about reliance Jio paid Tariff plans details. Recently Reliance jio Released Voucher of two Plans Who need More than 1 gb Data Daily. Check Now about this plans below. After recharging this plan , You will get 1 gb 4g data for 1 day. This data will be automatically used when Your free data is over. 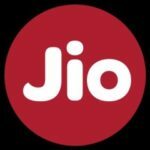 If you need more data for browsing or Surfing You can Recharge your Jio Number by Rs. 301 Plan where you will get 6 gb 4g data for 28 days. This offer Voucher plans will be available from year 2017. You can use unlimited Data In night. Voice calls will be free. If you will not recharge from this plans then you will get 128 kbps speed after Using 1 gb daily data. 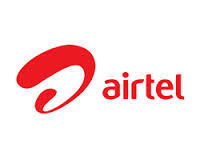 I think 1 gb data in 4g Connectivity is very less because In 4g Mostly we Watch More and more videos at high quality Because no any buffering and they are consuming Lots Of data. If you don’t wants to Recharge from this plan then Check Reliance jio 4g trick to Avoid Speed capping after 1 gb. 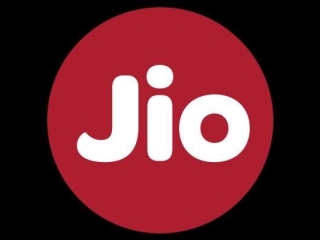 Simply Click on Data to Recharge your Jio Sim by Above listed Plans. You will see 1gb Data at Rs. 51 , Click on it. Now pay Money via Jio Money or any Suitable online Method. Your Plan will be instantly activated , You will also get confirmation Msg. The reason Behind it very simple which is also Mentioned above in this article. First of all , now they wants to earn Money from Jio Network and another Reason is Mostly User Using Less than 1gb Data daily. Users who are using more than 1gb Data is less in Counting so they released this Plans to those customers who needed More data. You can check More reliance Jio Tariff Plans which will also Released soon. Discussion on "Reliance Jio Paid Plans or Voucher -Increase Daily Data Limit After 1Gb"
You have to Recharge Because Your pack has Been Expired, Check How to Recharge jio sim ?